Drink a good coffee or tea without any fear from this jubilant John Lennon 11oz. ceramic mug. Color-printed War is Over design in a co-ordinated presentation box. 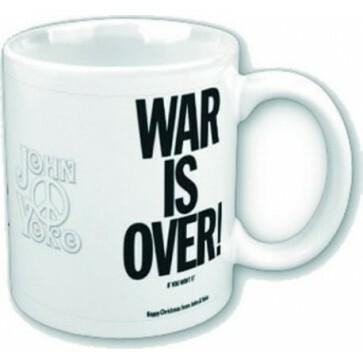 Drink a good coffee or tea without any fear from this jubilant John Lennon 11oz. ceramic mug. Color-printed War is Over design in a co-ordinated presentation box. So even if this isn't X-mas, it still makes for a festive gift.